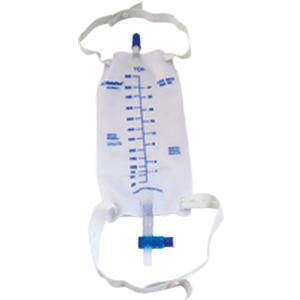 ReliaMed 900ml leg drainage bag features easy to operate t-tap drainage valve, sterile fluid pathways and comes with convenient, comfortable, preattached, fabric, elastic leg straps. Packaged in a convenient, peel-open pouch. Latex-free.